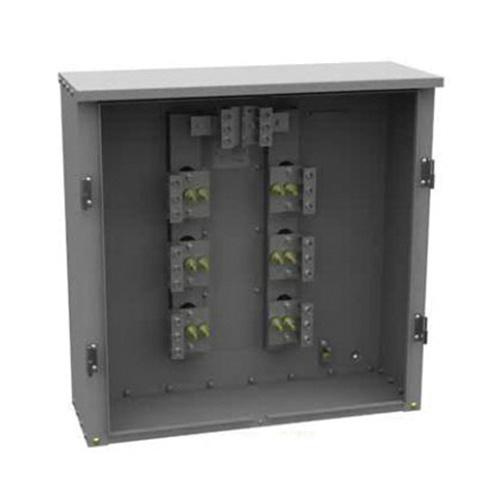 Milbank Current transformer enclosure is made from steel for extreme durability. Enclosure has 3-point locking handles, lift-off hinges with stainless steel pins and two doors. It is type 3R rated.